Learn to Fly 3: A new adventure for the Learn to Fly series. The penguin is back again to challenge Newton’s law of universal gravitation. 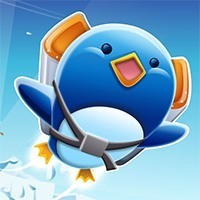 Each day try to launch the penguin into space by using various type of equipment's and upgrades. As Always, Have Fun.